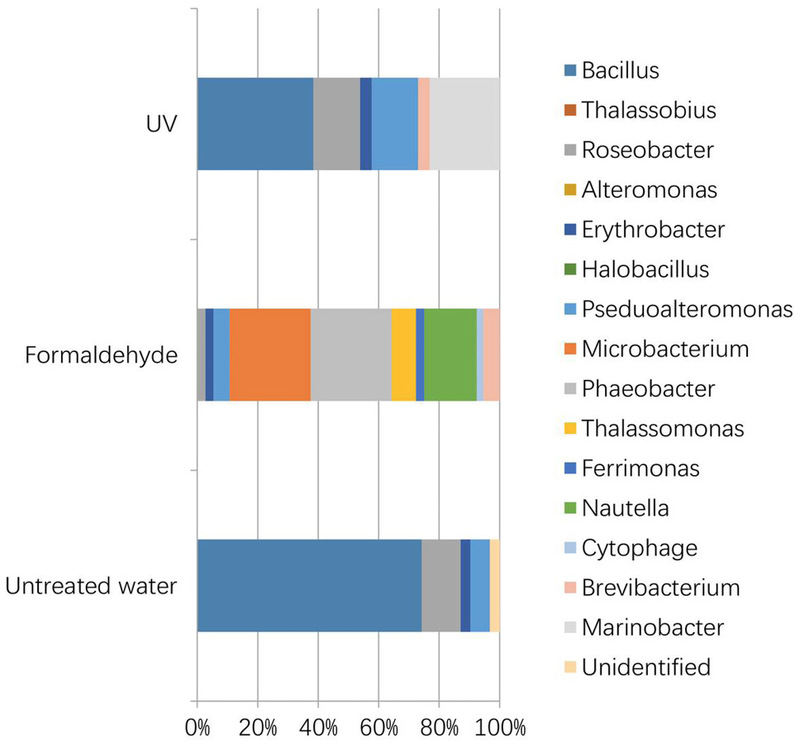 The number of heterothrophic bacteria (A) and vibro bacteria (B) in the seawater treated with formalin or ultraviolet. 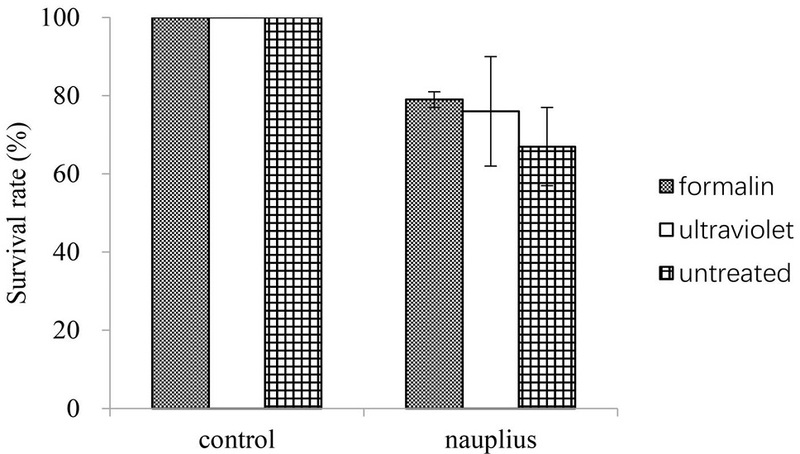 Control, without rearing nauplii; Nauplius, with nauplii. The survival rate of nauplii treated with formalin and ultraviolet. 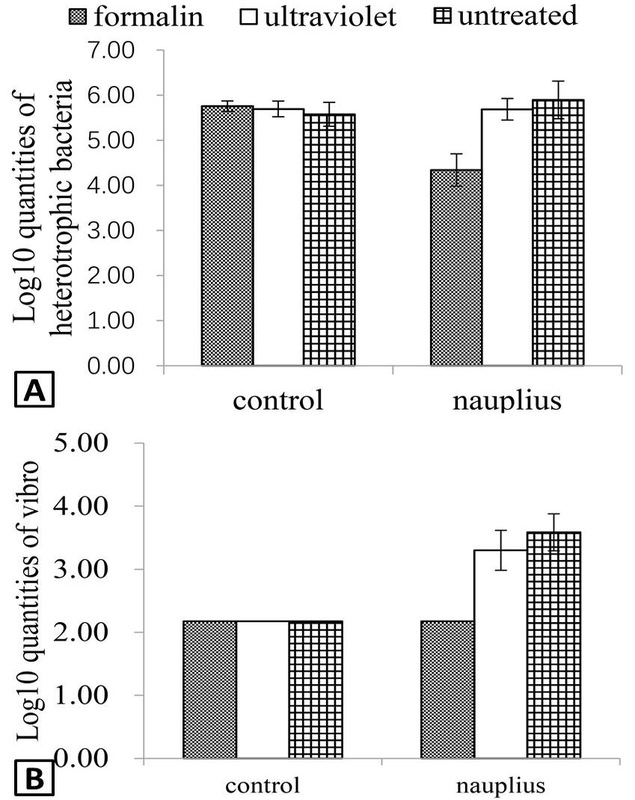 Control: without rearing nauplii, Nauplius: with nauplii. 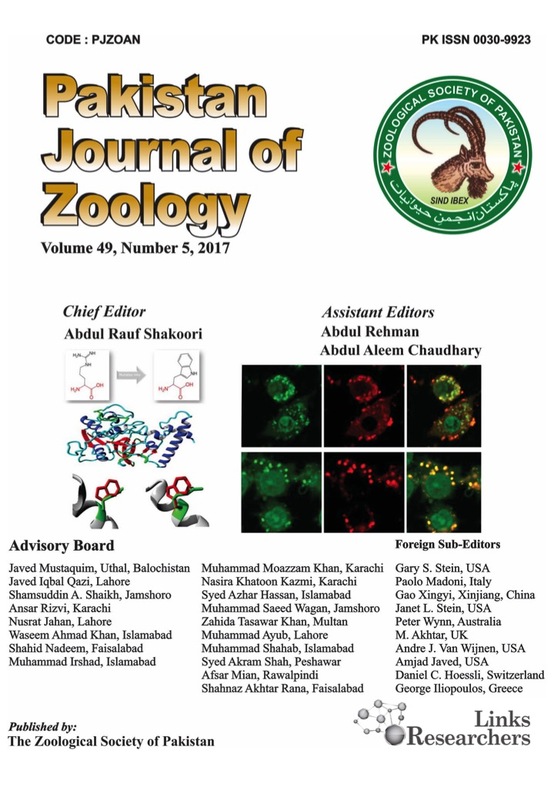 Microbial communities in the rearing environment.